≈ Comments Off on Is Hate a Crime? 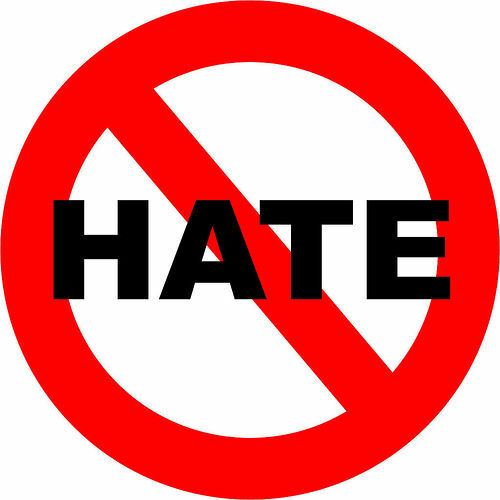 Often one hears about some individual being charged with a Hate Crime. The insinuation being made is that the crime committed is somehow more heinous or unacceptable then others because the individual was inspired by hate. For the individual in question his alleged motivation becomes as much of a crime as the act and comes with its own set of consequences. This all begs the question is hate a crime if so why and on what grounds has it been made so? Modern liberals have pushed hate crime legislation over the last few decades, mostly against those who single out gays and minorities. This trend has been expanded now to include religious based crimes as well. This has all came about with nary a thought given to whether government has the right to criminalize the thoughts of human beings. For those few hearty souls that have braved this onslaught to question the logic of this trend, they have experienced being called supporters of hate and even hatemongers themselves! What is lost in all of this is man’s most fundamental natural right, that to be ruler of his own thoughts and beliefs. If hate can be a crime than so can love. If judges are to be diviners of a man’s inner soul are they now deliverers of justice or treading in God’s domain? Who is it that has declared that a crime done for profit or personal pleasure is somehow less vile then one done for hate? The racist that attacks a victim for the color of his skin is, in his own twisted mind, defending the members of his own race from some imagined threat. The gangbanger that attacks someone just to see him bleed is doing so for his own twisted sense of pleasure. Which is worse? The answer is both are equally disdainful, the crime is in the result not the inspiration. Justice cannot rightfully outlaw the thoughts of mankind nor is the why of consequence to the robbed and bleeding. The truth is no matter how noble the cause or good intentioned the reasoning there can be no justification for treading on people’s individual rights. It is also true that there is no more fundamental and sacred right than that of being master of your own mind. Those that support the concept of Hate Crimes are in fact supporting a crime of an even baser sort, they are in fact making it a crime to be human. If it is hate they are trying to combat by making laws against it then they are on a fool’s errand. Outlawing hate will not make it go away; laws have no impact on conditions of the heart. Education, understanding and love are the only tools available to do this kind of work. Hate Crime laws employ none of these and the fact is there is no law that can.